An unusual Genoese gilded metal and wood chandelier, eight scrolling arms of light with and gilt wood holders and glass bobeches, each hung with faceted drops. 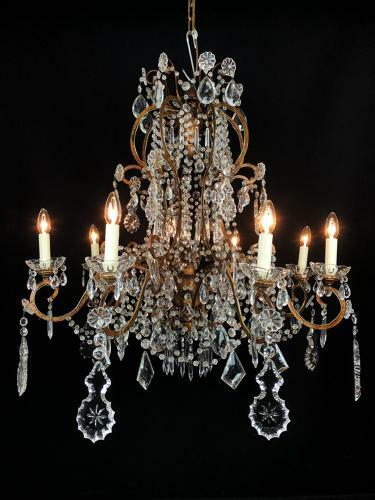 Swags of crystal beads and icicles adorn the frame, with a star burst cut plaque hung from each arm. Late 19th century.